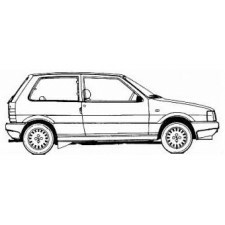 Dynamo for Lancia Thema 8V IE can also be applied on Fiat Uno. Submitted by a Lancia Thema of construction year 1989. Wrong in working condition.This ..
ECU engine management computer for Fiat Uno 75. Coming from a Fiat Uno engine with 75 year built 1987. The unit is working correctly. Concerns a Jetro..
ECU engine management computer to control injection, ignition and control stationairloop for Fiat Uno 75 Ie petrol engine. The unit is working well an..
ECU engine management computer to control injection, ignition and control stationairloop for Fiat Uno 75 Ie petrol engine. The unit is working well. ..
ECU engine management computer to control injection, ignition and control stationairloop for Fiat Uno with 1500 cc gasoline engine. The unit is workin.. The right fog light for a Fiat Uno. Submitted by the model 1989-1994. Fiat part number: 7699750. .. Right front headlight Fiat Uno with construction years from 1989. 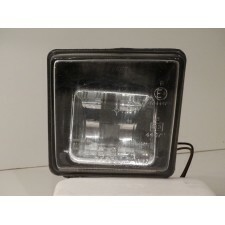 Is an original for Fiat brand headlight Elma produced. This headlight is, unlike the..
Computer for the control of the electronic ignition for Fiat Uno with 1.5 petrol engine with vending machine. Is a unit of manufacturer Magneti Marell..
Ignition ECU Fiat Uno turbo i.e. Computer for the control of the electronic ignition for Fiat Uno Turbo equipped with 1.4 turbo petrol engine of construction year 1987. Is a unit of m..